I wish you all a very Merry Christmas! May this holiday be one of peace, joy, health and time spent with family and friends. 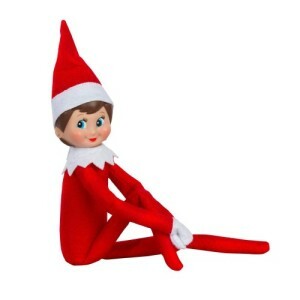 Hump Day: Elf on the Shelf — A fun game or Santa’s silent spy? Over the past few years, a strange new Christmas tradition has taken hold of families. Every day, parents place the ‘Elf on the Shelf’ at different places around the house. The kids then play a little game to find out where the elf is hidden to watch to see if they’ve been naughty or nice for Santa. Kids aren’t allowed to touch the elf because it will lose some of its Christmas magic and be unable to fly back to the North Pole. It also doesn’t move or speak. It just sits there… and listens. And stares at you from the end of November until Christmas Eve when he travels back to the North Pole to spill the beans to Santa Claus in what must be the largest debriefing session in the world. I’m sure many families have lots of fun with Elf on a Shelf. Of course, there are many parodies and photos of Elf on a Shelf doing bad things — things that belong in an adult movie. What has started out as an innocent way to have some holiday fun with the kids has also branched out into the inevitably wicked — yet hilarious. Inevitable or not, I think those buggers are just plain terrifying. That creepy little smiling elf who just sits there quietly staring at you. Close your eyes for a few minutes of rest and you’re bound to wake up with that freak sitting on your chest holding a knife. Never trust a creepy doll that never blinks and doesn’t stop smiling. Quite frankly, they remind me of the Chucky doll from those Halloween horror movies. If you’re not familiar with Chucky, just imagine a cute little doll brought into the house as a gift who then proceeds to murder the entire family. Oh, how pleasant. And now we have Chucky’s cousin Elf on a Shelf who’s taking over Christmas. I tell you, if I woke up one morning to find that thing staring at me, it would be meeting the back of a shovel pretty fast. To me, it’s also right up there with that awful Snuggles fabric softener bear – the one who leaps out of your dirty laundry basket when you’re in your basement laundry room all alone. Sure, it just wants to talk about making your clothes smell good (or so it says), but I don’t care what it wants to talk about. Shovel to the head and then thrown in the blue bag for the city garbage people to pick up. Can you imagine anything scarier? Sorting through your dirty underwear only to find some stuffed animal come alive to discuss how soft your clothes will be after using his brand of fabric softener? Uhm, no. If a teddy bear starts talking to me, I’d better be either on really good painkillers or sitting on the floor next to an empty bottle of gin because that would mean I’m hallucinating. Otherwise, it’s real. And if it’s real… and if I’m sober… it’s going to have an intimate encounter with the back of my shovel. Same goes for Elf on a Shelf. I mean, really! What a squealer! He just sits there staring at everyone quietly throughout the day and then flies to report everything to Santa every night. Lord help little Billy if he forgets to flush — and good luck on Christmas morning to little Stephanie if she doesn’t eat all her peas at supper on Dec. 20… because that little jerk will be taking note of everything and squawking like a double agent. Do Mom and Dad say he’s your friend? Full of magic? Don’t believe them, kids! The sneaky little elf is spying on you! Flush it down the toilet now! Don’t give in to its tyranny! Free at last… free at last… thank God almighty… free at last! Now, kids, you just tell Mom and Dad that your nice Uncle Brian told you that Elf on a Shelf is a communist plot to get kids used to being spied on the by the state. Trust me, little Billy and little Stephanie, today it’s Elf on Shelf sitting next to your toaster. It’s all cute now, but it won’t be so funny in 20 years when it’s about microphones hidden in the lamp shade to hear everything going on in your house. When I was a kid — in addition to walking to school uphill both ways on Christmas morning naked in 10 feet of snow — we didn’t have an Elf on the Shelf to keep us in line. We had stern looks and threats that Santa would skip our house if we weren’t good. It’s time for parents to start parenting again and stop blaming everything on that traitor elf. 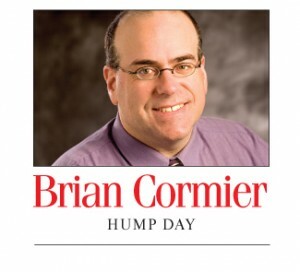 Bring back parental intimidation just like we had in the olden days. Now that’s what Christmas is all about! Since this is my last column before Christmas and my last column of 2013, I want to take this opportunity to wish each and every one of you a very Merry Christmas and a Happy New Year! Stay safe and healthy and see you in 2014. Steamed Christmas suet pudding. If your mould has a hole through the middle (like the mould I used for this pudding), you’ll need to reduce the steaming time from three hours to two — even perhaps a bit less. This pudding is resting on a full-size dinner plate. This pudding was made in a mould made especially for steamed puddings and purchased at Paderno (paderno.com) in Moncton. (See a photo of the mould at the bottom of this post.) Click on the photo for a larger version. When I mentioned this recipe online, I received several requests for copies, so here it is! Beat eggs and add sugar. Add suet and molasses. Stir, then add the flour. Dissolve the baking soda in the sour milk and add to flour mixture. Add spices and raisins. Pour into buttered mold (i.e. 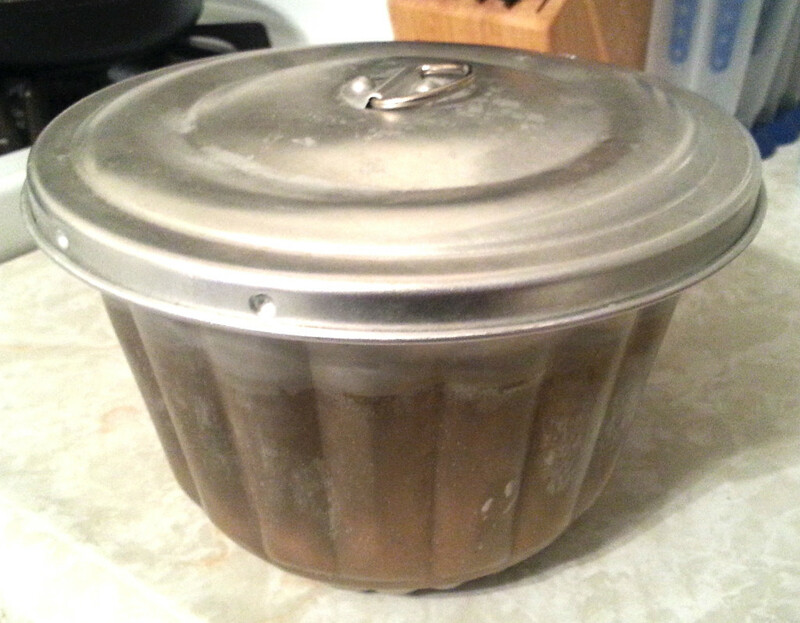 coffee can or mould made specifically for steamed puddings), cover mould with tight-fitting lid and steam for three hours. 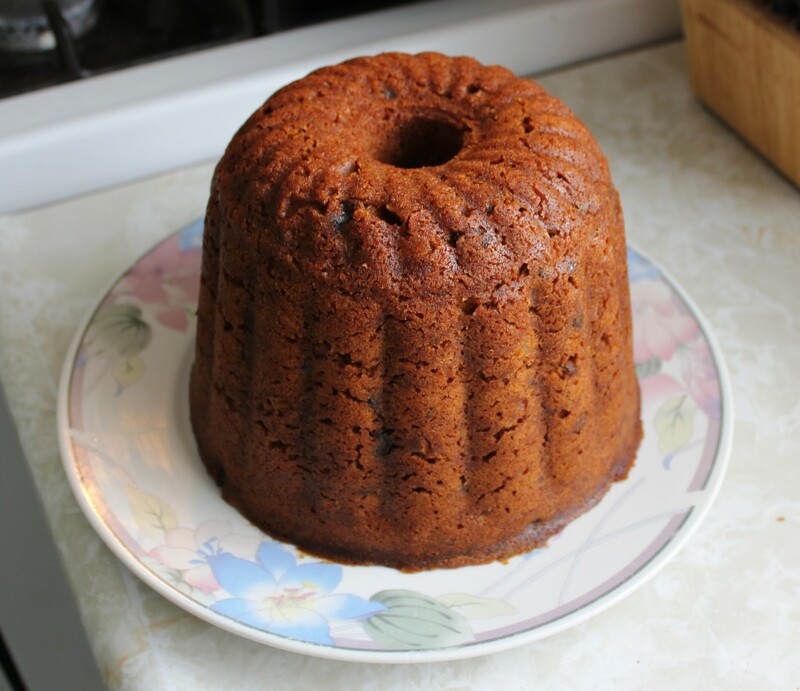 PLEASE NOTE: If your mould has a hole up through the middle — such as in a “real” steamed pudding mould that resembles a bundt pan — you should reduce the steaming time by at least one hour, otherwise your pudding will be overcooked and very dry. The three-hour boiling time is for a coffee can. If you don’t have a cover for the coffee can (obviously a plastic one will melt), simply fold over a couple of pieced of foil and tie tightly with string. To steam, place your covered mould in a large pot filled with water. Water should be about 2/3 of the way up the mould. Water should be kept simmering. Check your pudding after 2 hours to see if it’s done. Again, the three-hour time is for a coffee can. Serve the pudding warm in a bowl with warm hard sauce. This is a very sweet pudding. This is the steamed pudding mould I made for the photo of the pudding above. It was purchased at Paderno (paderno.com) in Moncton. The above pudding was badly overdone and dry, which is why I recommend a much shorter steaming time if you use a mould like this with a hole up through middle. (If you take the cover off, you’ll see the hold inside like a bundt pan.) Click on the photo for a larger version. Last weekend, I went through a rite of passage that many of us with Acadian blood coursing through our veins have gone through: trying to make our first batch of poutines râpées on our own — and failing miserably. These large meat-filled potato dumplings have been a staple of Acadian households in Southeastern New Brunswick for years. Because making them yourself is so labour-intensive and so hit-and-miss for newbies like me, many of us have resorted to buying them. Luckily, there are some great commercially made poutines around! There are many restaurants, grocery stores and corner stores in the area that sell them on a daily basis. If you want a poutine any day of the week, you just have to know where to go or who to call. There are always some available — even more today than there were years ago when if you didn’t make them yourself you likely wouldn’t be having some anytime soon unless you pre-ordered some for weekend delivery to a few select corner stores in the area. With the holidays and colder weather here, many Acadians’ tummies start growling for those bland potato dumplings which we reportedly adapted from a recipe passed on to our ancestors by German settlers who were our neighbours. Somehow over the years, many Acadians started eating them with sugar (white or brown) or molasses, despite the meat inside. Oddly, the salt pork filling and sugar go together quite well. Non-Acadians who eat the delicacy (yes, I think they’re a delicacy!) either don’t like them or can’t stomach eating them with sugar, preferring more traditional potato-related condiments such as ketchup (oh the humanity! ), mustard (reaches for an air sickness bag), sour cream (not so bad, but still…) or even hot sauce (eeesh!). I’m a white sugar man, myself. I’ve mentioned before that I run a Facebook group the focuses solely on poutines râpées. I’m crazy, you say? Who would ever join such a group, you ask? Well, nearly 1,600 people, just so you know! It’s quite incredible. Most are from the Metro Moncton area and Massachusetts, but there are also several from other parts of Canada and the U.S. and even outside North America. I’ve read posts from desperate Acadian descendants who want people to ship poutines to them — some from as far away as California, Alberta, Missouri and Florida. People are making them all over, too, even in North Dakota, New Mexico and Texas. It’s wonderful to see that Acadian culinary traditions seem to be going through a resurgence thanks to technology. Group members share recipes and tips through posts, photos and videos, and are more than happy to give advice to anyone wanting to try to make them on their own. On the weekend, I started to feel quite humiliated that I run a Facebook group about poutines râpées and I’ve never tried making them on my own (not counting a batch made with 90 per cent of the work done by a friend a decade ago). So, I decided to try making a solo batch with my own bare hands (washed, of course). While I attempted to take a few shortcuts that a few swore by, my experiment didn’t work very well. At one point, I had nine poutines bobbing gently in the water in a large pot. I thought I had succeeded and was quite proud of myself. After all, I was coming off going to church two weeks in a row (surely, I was in line for a miracle!) and named every poutine after a relative in Heaven as I dropped them into the pot, as per tradition. Again, I believed that the combination of going to church and naming each poutine after someone in Heaven would guarantee me a successful first solo batch. For the first half hour, everything went swimmingly. I went on the computer for 10 or 15 minutes, then returned to the pot to check on my nine little miracles. I took the cover off and — once the steam cleared — saw that only corpses remained: nine naked meatballs just bobbing up and down in the boiling water. The potato mixture had completely disintegrated away since I’d last checked. It didn’t even fall off in chunks. I mean it completely disintegrated! There was nothing left but nine meat balls made up of chopped unsalted pork belly and salt pork. I looked up into the air and whispered a little “Sorry, everyone!” to all the poutine-loving relatives I’d shamed. But then again, ruining your first batch of poutines is practically a rite of passage, as I wrote at the beginning of this column. Until you get the proportions of grated potato and mashed potato correct, you’re bound to ruin a batch or two. Then you have to worry about how much salt to add. Then how much meat to buy. Then there’s the size of the pot and how hard the water is boiling. And don’t even get me started on the amount of water to squeeze out of the grated potatoes. In these days of exact recipes, the poutine râpée prides itself on being a bit contrarian. It’s all in the technique and perfecting them comes from experience. You need to get your hands in there and feel the textures. But I’m telling you right now, you ornery bland potato dumpling, I’m going to perfect you if it’s the last thing I do. If I have to hand-grate a 50-pound bag of potatoes on Christmas Eve, I will prevail! RIVERVIEW, N.B. 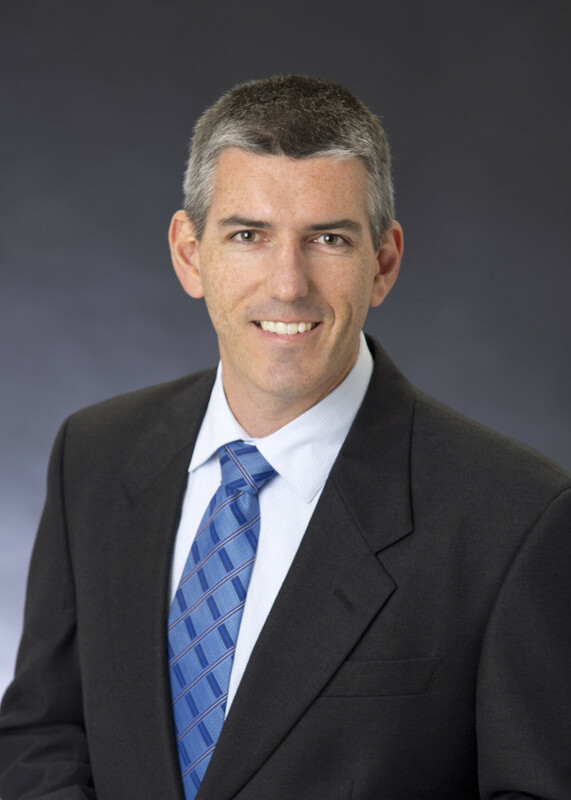 – The Greater Moncton Sewerage Commission (GMSC) is pleased to announce the appointment of Michael Asplet as Director of Finance and Administration. Mr. Asplet joined the GMSC in July in a financial consultant role and has played a crucial role in developing the Commission’s 2014 budget and 2014-2018 strategic plan. Over this time, he has also worked on the selection and implementation of a new accounting software package as well as an IT support contract. “This appointment is a critical step in strengthening the GMSC’s accounting and financial oversight as we prepare for a significant capital investment to allow us to meet new federal regulations,” said Bernard LeBlanc, General Manager of the GMSC. A native of New Zealand, Mr. Asplet, his wife Josée (a Moncton native) and daughter Madison recently relocated to the Greater Moncton area from Australia. He is a chartered accountant in Australia and New Zealand and is pursuing his Canadian designation equivalency. The Commission recently approved its 2014 budget which has been distributed to the three Greater Moncton municipalities and the provincial Minister of Environment and Local Government. One key component is the launching of a request for proposals (RFP) for the pre-design and costing for the GMSC’s proposed biological nutrient removal plant which will allow the Commission to not only comply to new federal regulations by the 2020 deadline but also to deliver outflow quality beyond what is required by this legislation. A recently completed three-year pilot plant study by Conestoga-Rovers & Associates on the GMSC’s behalf (Long-Term Sustainable Wastewater Treatment Strategy – October 2013) not only concluded that the proposed treatment approach would meet the 2020 legislative requirements but, more important, that it would provide output quality beyond these requirements as well as address not-yet-legislated issues such as nitrogen and phosphorus. Additionally, the GMSC proposes to incorporate ultraviolet treatment of its effluent to significantly reduce any discharge of E. coli into the Petitcodiac River even though this is not a legislated requirement. The GMSC’s intent is to first quantify the cost of this major investment and then work with all levels of government to ensure that this undertaking can be delivered in a cost-efficient manner for the benefit of all municipal ratepayers through participation in a jointly funded federal-provincial infrastructure program.